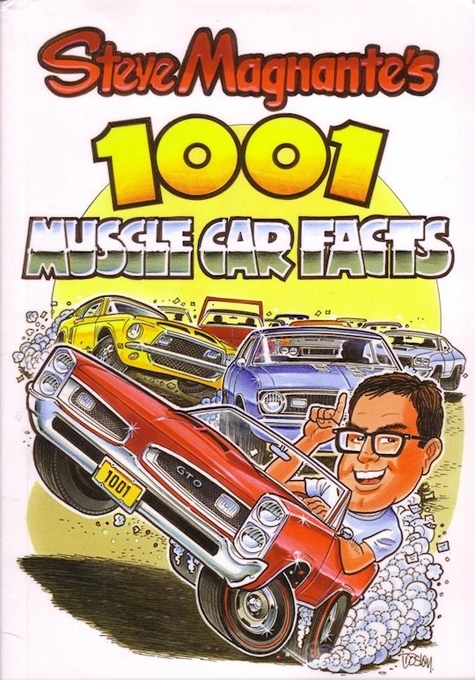 Steve Magnante's 1001 Muscle Car Facts is an encyclopedia of muscle car related facts that you and your friends will thoroughly enjoy. It is the perfect book for rising muscle car enthusiasts, seasoned motorheads, or anyone who just loves hard to find trivia about muscle cars. It includes black and white photos to compliment the wealth of interesting facts. It covers GM, Ford, Chrysler and AMC Muscle cars. The physical quality of this book is outstanding. It is printed on heavy-duty paper and is quite heavy for its size. Steve Magnante's passion for high performance automobiles is unmatched. Steve has been on the Hot Rod Magazine staff for many, many years. Recently, he has been an expert guest on well known auto collector auction shows. He is the author of a few other motorhead related books, including How to Build Altered Wheelbase Cars. Ask a question about Steve Magnante's 1001 Muscle Car Facts.